For those who aren’t familiar with Notification Channels, they are granular settings for the types of notifications you get from an app. The feature came in with Android Oreo and more developers, like Microsoft, are adding support for it in their apps. Instead of getting every and all notifications, you can disable notifications for certain things in the app. 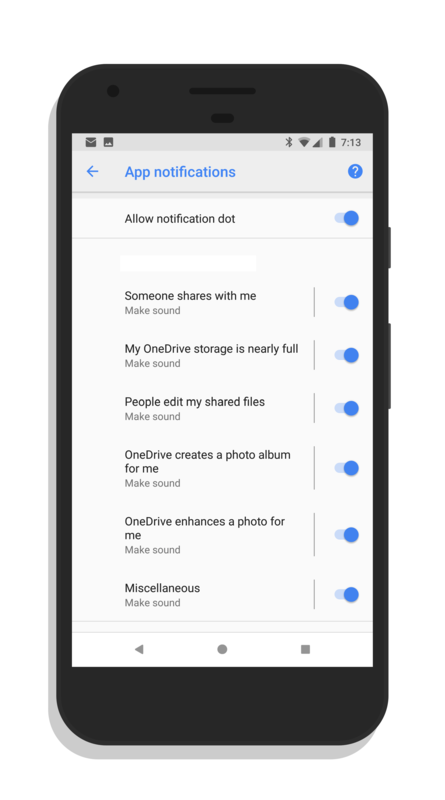 This update also brought some enhancements to the Scan feature of Microsoft OneDrive. Powered by Office Lens, the Scan feature allows you to take a photo of a document, whiteboard or business card and save that into your storage. Now you can crop and rotate those photos right from within OneDrive prior to saving them. If you are looking for a cloud storage solution, Microsoft OneDrive is a free app and free service. You’ll get 5GB of storage for free when you sign up.